Entertaining is great. It brings friends and family together. Cooking indoors can ruin the mood though. It separates activities, forcing those who have to cook to spend it indoors. With built-in grills, Phoenix residents can bring the whole party outdoors. 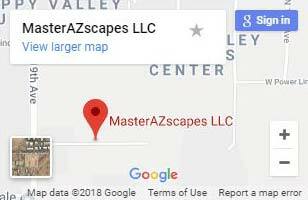 MasterAZscapes LLC’s landscapers has been building grills that enhance properties and homeowners enjoyment for over 15 years. Get a built-in grill your way! One of the greatest aspects of built-in grills Phoenix enjoys is how many options they have. Our masterful technicians can build stylish grills in a variety of shapes and fuel types. No matter how you like to cook your steak, we’ve got you covered. 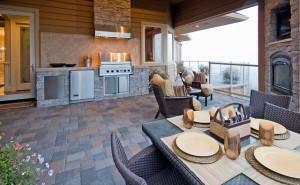 Kitchen Island Grills – These are a great addition to any backyard, and make movement simple and easy. Built-in BBQ – For a built in grill that delivers classic charbroiled taste, nothing beats a built-in bbq. Built-in Gas Grills – Gas grills are great for their temperature control. They’re even better as permanent backyard fixtures. Our customization options are immense. We can design nearly any look out of a wide variety of materials. Your built-in grill should reflect your personality, complement your property, and provide incredible cooking. With our technicians at the helm of your built-in grill installation, it will. Call (623) 780-0474 or Contact Us today.